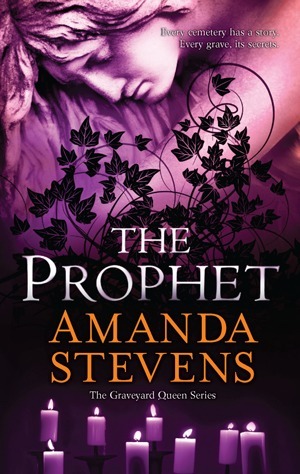 Amanda Stevens really put me through the wringer with this third installment of her Graveyard Queen series. When we last saw Amelia, she was on her way back to Charleston to answer a summons for help from John Devlin. It’s almost like The Kingdom was a “time-out” from the action of The Restorer in many ways. But now Amelia is back in the thick of things. Back at the old cemetery where she was working before. Surrounded by the same ghosts. In love with the same man. With the same roadblocks. Only maybe it’s worse this time around. My heart ached right along with Amelia’s when Devlin came back on the canvas. They’ve been apart for months and to call things tentative between them would be an understatement. There are even questions now about whether he has moved on with someone else. This, as the presence of his dead wife Mariama continues to hold onto him with both hands. The ghost of former cop Robert Fremont is haunting Amelia, pushing her to solve his murder. It’s a tangled mystery, wrapped up in Devlin’s past, Mariama’s treachery, blackmail, betrayal, adultery, and the occult. It’s very, very creepy. Not just the ghosts, which are indeed scary, but the bugs and the zombie drugs really put it over the top. The distance and deception between Devlin and Amelia kept me tense and unhappy for the first half of the book. I found myself cringing every time Amelia began another Q&A about Mariama. Everybody has something to say about her. Everyone either loved her or they hated her. And she’s been dead for years, but everyone still wants to talk about her. If I didn’t know Amelia was dealing with her ghost, I’d think she was the most lovesick, pathetic person on the planet to bring her up every five seconds. But when things started to pick up, the book was off and running. I loved the way Stevens kept me guessing until the very end. About who the killer was. About the motive. About the real circumstances surrounding Mariama & Shani’s deaths. I loved the tie in to the African root magic. And the ending. Oh. My. God. I thought I was going to have a heart attack. There will be a fourth book, thank goodness. And I am anxious to find out what repercussions will come from the big climax here. 4 stars. Oh my God this is the third installment already! I better catch up, I’ve heard a lot good thing about the Restorer, I already have it on my IPod, I guess I better move it to the front, I dont want to get to far behind. I was debating to read the review or not, I guess I better not, I’ll be back after I Listen to the Restorer. I’m sure is a great review, they allway are. LOL. Thanks! Come back and let me know what you think of The Restorer!